We are happy to announce a new major update on our powerful myVideos 3D+ application. The new version (named: version 7.2) comes to update the previous one (7.1.1). 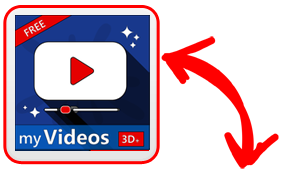 myVideos 3D+ FREE: the App's Page..
my Videos 3D+ : "Updated Version menu"!